The Mahaan is known for his humour ! When Sri Maha Periavaa was camping at Tiruchi, Sri Subramania Sastrigal and his brother Vembu Iyer went there to have Darshan of Acharyal. 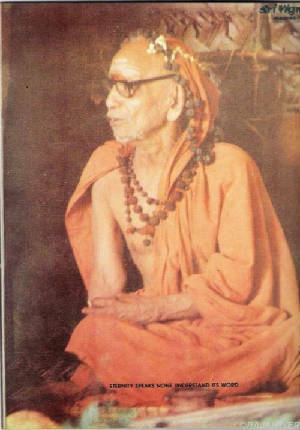 One day Sastrigal sat before Maha Periavaa (It is to be noted that NOBODY was allowed to sit before Maha Periavaa EXCEPT SRI SUBRAMANIA SASTRIGAL, THE GREAT "LIBRARY' or "ENCYCLOPEDIA OF KNOWLEDGE" as called by Maha Periavaa , many a times). 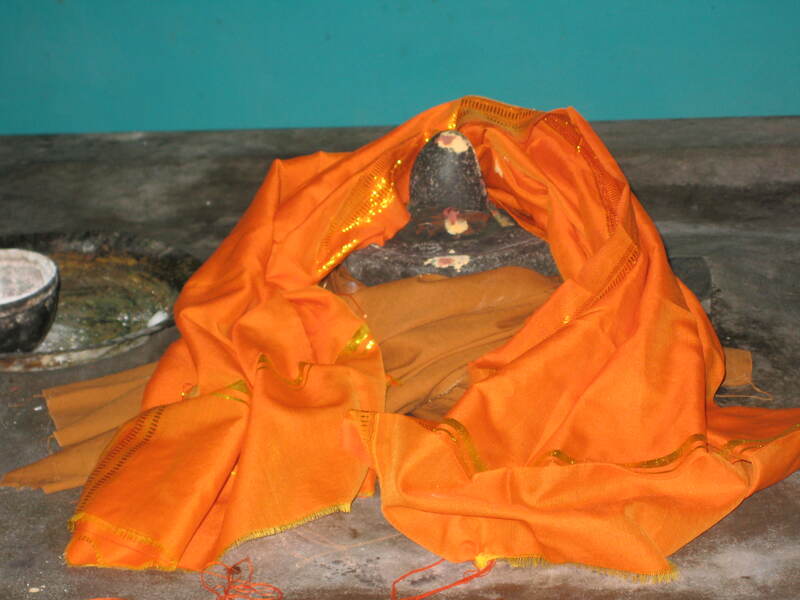 Sastrigal described that when one becomes a SANYASI , his dresses will be removed and is offered " KASHAYA VASTRAM". 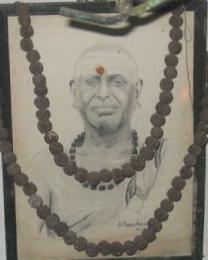 His head hair is shaved off and is then offered "THANDAM KAMANDALAM". SANYASI should not stay in one place permanently and should travel to all places. His food habits are changed and the daily "NIYAMANGAL" is also changed. Next, Subramania Sastrigal went on to talk about SARMAN. After “UPANAYANAM" his activities are changed. He has to perform "THRIKALA SANDHYAVANDANAM", "VEDA ADHYAYANAM", "GURUKULA VASAM" etc. When he attains "GRIHASRAMA DHARMA", his habits are controlled. Then with regard to 'THIRUDAN' , the Sastrigal said that his dresses are changed and his Head hair is shaved off(including his araignan). Thus he is confined to the jail, using the Jail dressings. His food habits are also changed completely. His activities are fully controlled. He is not allowed to go anywhere without permission of competent Authority !! On hearing this speech given by Subramania Sastrigal, Maha Periavaa was laughing for a while and the audience assembled there applauded and enjoyed the "NAGAICHUVAI". Maha Periavaa immediately blessed our Subramania Sastrigal and garlanded him. SIDDHAMALLI ADAINTHAR CHITHAM THELINTHAAR! SHASTIYIL DARISANAM SARVA PAPA NASANAM!